The Uganda’s favorable conditions of soil along climate have put the destination Uganda at an advantage of developing a successful agricultural economy. A range of areas in Uganda receive great amounts of rain fall with exception of the extreme north east where semi-arid climate is registered. These favorable conditions have presented an ideal ground for extensive cultivations and commercial livestock rearing especially in the south. The 1 Day Agricultural tour in Uganda is thus designed to give you a snap shot of the agricultural developments undergoing in the country summarized at one site. The 1 Days Agricultural trip in Uganda takes you to Bukalasa Agricultural Center to have a whole day exploration. The 1 Day Agricultural tour to Bukalasa Agricultural Center commences and ends in Kampala. You transfer after breakfast at your place of stay in Kampala to Bukalasa Agricultural Center following the Kampala – Gulu road (smooth tarmac) 47km to approach Wobulenzi town from where you branch off to proceed to Bukalasa about 5km on murram driving through impressive countryside landscapes exploring the local farming practices before arriving at Bukalasa. Upon arrival, you embark on the tour of the center. 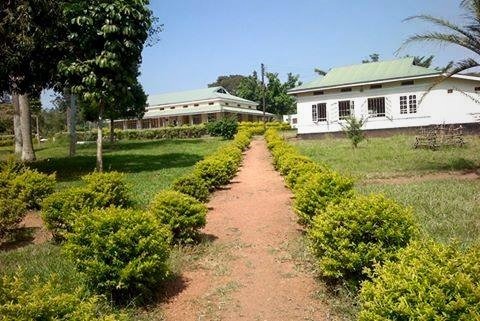 The center acts as the agricultural hub of Uganda serving as a center of research about animal and crop husbandry not forgetting the agricultural soils. The center dates far back to 1920 when it was established as a Cotton Breeding Center during the colonial era and has since evolved to become a center of significance in the country. The tour to the projects being undertaken and the accomplished ones including the crop and animal interbreeding, the new farming practices, the soil – crop matching, the palatable and highly nutritious pastures for livestock among others. It is a whole day study tour that will not only make your encounter memorable but also reward you with remarkable knowledge that you can apply to your farm to teach to others for impressive results. After the encounter, you embark on the drive back to Kampala.